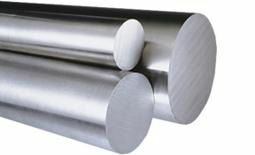 Steel family specifically designed to optimize machinability based on its sulfur content. It is also available with lead. Its ideal conditions occur in its hardened state from cold redrawing, having tensile strengths of between 500 MPa and 700 MPa. Supply of Cold drawn bars from 5mm to 75mm in diameter. The bars may have 1 and/or 2 beveling/facing edges. Material 100% controlled by circograph. Steels: 11SMn30, S250, 1214 /11SMn37, S300, 1215 / 11SMnPb30, S250Pb, 12L14 / 11SMnPb37, S300Pb, 12L15 / 10S20, 45S20, 46S20, 44SMn28, 35MF6, 36SMnPb14, SAE 1141, SAE 1144, C35Pb, C45Pb.